The friendly staff at Do A Little Floral can create beautiful flower arrangements and gifts suitable for all of your gift-giving needs. As the preeminent Charlotte florist, Do A Little Floral can deliver flowers to Charlotte,NC and surrounding areas, with same day flower delivery available. Do A Little Floral can also make deliveries nationwide through our network of reliable florists. Few gifts create an impression like fresh, colorful flowers. Make your next occasion one to remember with a gift from Do A Little Floral. From lavish anniversary flowers to heartfelt sympathy flower arrangements, Do A Little Floral is the florist in Charlotte to call when you want something special. Allow us to be your flower source for Mother's Day flowers, Valentine's Day flowers, or any other holiday. For the most elegant flowers in Charlotte NC including get well flowers and birthday flowers, call Do A Little Floral. 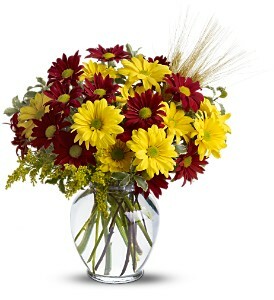 Sending flowers with Do A Little Floral, your trusted Charlotte florist, is as easy as 1-2-3. Simply look through the wide assortment of bouquets on our website to find the right flower arrangement for your occasion. Consider adding a special touch by including a box of chocolates with your flowers. Shop with confidence using our secure site, or call our shop to speak with one of our floral designers. When you need the freshest flowers in Charlotte or need to send a bouquet anywhere nationwide, you can rely on Do A Little Floral. When you purchase a gift from Do A Little Floral, you can be sure youâ€™re getting fresh, superior flowers from one of the premier florists in Charlotte NC. Our floral bouquets and gift baskets are always beautifully hand-arranged and hand-delivered by our staff. Your special occasions deserve the best, and our mission at Do A Little Floral is to provide only the best, fresh flowers in Charlotte for our customers. Beware of some floral sites, particularly those of the large national brands, which ship flowers in a box. Donâ€™t take away from the delight of receiving fresh flowers by leaving your recipient to unpack their own flowers and arrange them in a vase themselves. Leave it to one of the best florists in Charlotte when you need to send flowers in Charlotte or anywhere nationwide. Your bouquet from Do A Little Floral will always arrive beautifully arranged in a vase using the freshest flowers available and personally delivered to your recipientâ€™s door. Our shop locally serves much of Charlotte, and Huntersville with deliveries to parts of Davidson, Kannapolis, Concord and we will help you get that special gift to almost any city in the US via our vast network of floral designers. 28299, 28246, 28212, 28205, 28227, 28272, 28206, 28283, 28254, 28202, 28236, 28243, 28273, 28287, 28230, 28275, 28263, 28217, 28234, 28274, 28288, 28289, 28229, 28210, 28201, 28258, 28222, 28223, 28281, 28232, 28216, 28277, 28209, 28226, 28244, 28220, 28208, 28269, 28256, 28203, 28233, 28278, 28240, 28231, 28242, 28215, 28282, 28224, 28241, 28265, 28211, 28250, 28219, 28297, 28253, 28228, 28296, 28260, 28284, 28247, 28271, 28213, 28262, 28290, 28218, 28214, 28207, 28235, 28255, 28237, 28286, 28204, 28221, 28285, 28266, 28270, 28280.